Taiwan's National Immigration Agency said today that it has found three of 140-plus Vietnamese tourists who went missing after arriving in Taiwan late last week. The three tourists were found in Chiayi county, Changhua county and Hsinchu county yesterday, according to an NIA statement. 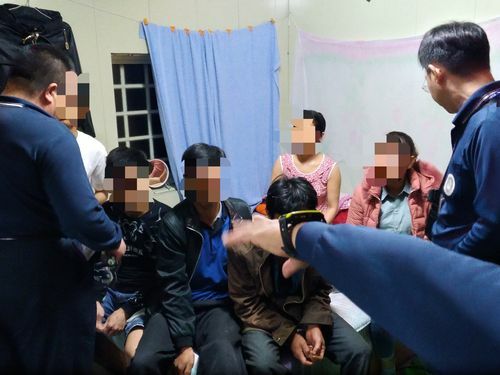 They are being investigated by the Kaohsiung District Prosecutors Office for alleged violations of the Human Trafficking Prevention Act, the Immigration Law, and the Employment Services Act, it said. The three were among more than a hundred tourists who traveled to Taiwan in four groups and went missing after they arrived in Kaohsiung December 21 and December 23, respectively. The NIA originally said that 152 Vietnamese tourists went missing. After an investigation, however, the NIA said Thursday that they had established contact with one who was previously reported missing, while another three had already left the country, bringing the number of missing Vietnamese tourists to 148. The visitors were in Taiwan under a special government-funded program that allows convenient visa applications for groups of five tourists or more from Indonesia, Vietnam, Myanmar, Cambodia, Laos and India, as long as they are organized by "quality travel agencies" recognized by the Tourism Bureau or if they are part of company-sponsored groups.